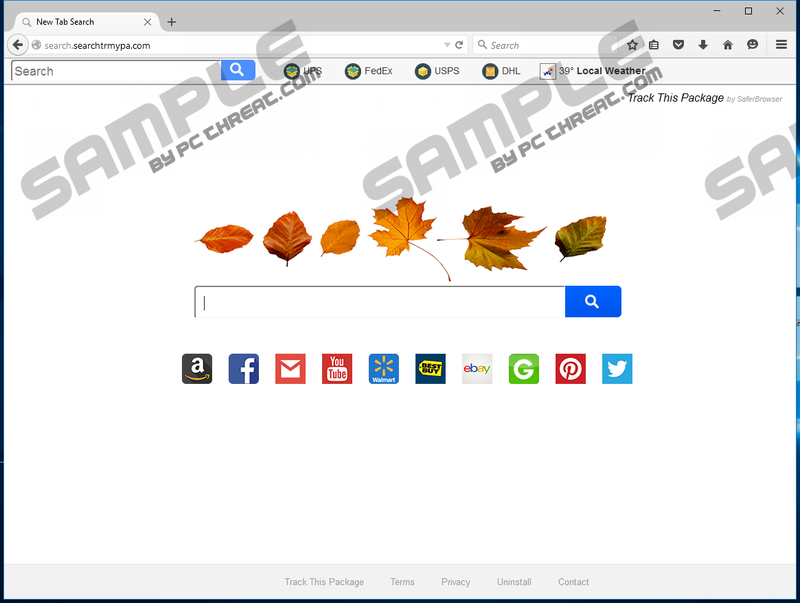 We have yet again discovered a new browser hijacker and yet again it comes from the developer that labels its hijackers with the “by SaferBrowser” logo. Unfortunately, there is nothing safe about this hijacker and we suggest that you remove it from your computer as soon as you can because it can jeopardize its security. We have categorized Search.searchtrmypa.com as a browser hijacker because of its malicious distribution method that involves inserting it into your browser without your knowledge or authorization. It is set to enter your computer in secret and replace your web browser’s homepage address and other search-related settings. This hijacker replaces it so that it could show you promotional links in its search results. It is also set to collect information about you, so if you have it on your browser, then we highly recommend that you read this description. Browser hijackers are a category of malware that can come as a standalone website or along with a browser extension or program. They can be distributed in several ways so let us take a look at how this particular hijacker can be distributed. We have found that Search.searchtrmypa.com is disseminated using malicious installers that inject it directly into the web browser. This dissemination method is applied for Microsoft Internet Explorer, Mozilla Firefox, and Google Chrome. Also, this method of distribution involves tampering with the browsers’ files and this is unacceptable since the installer does not give you the opportunity to opt out from injecting it into the browser. We want to inform you that it the installers that feature this hijacker also contain freeware, and the whole package is put up for download on shady software distributing websites. Therefore, to avoid this infection, you should not visit unreliable software providers and get an antimalware application that could prevent the malicious installers from injecting malware into your PC. 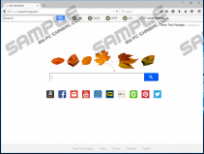 When this hijacker is injected into your computer, it will replace the homepage of all three web mentioned above browsers as well as the search provider of Internet Explorer and Firefox. As a result, you will be forced to use it for conducting your online searches, provided that you do not take action against it. The reason Search.searchtrmypa.com is set to use deceptive methods to get onto your computer is that its developers have set it to feature additional promotional links that generate advertising revenue. This particular hijacker is not alone in this advertising campaign, mind you. It has dozens of clones that include the likes of Search2.searchlson.com, Search.searchcads.com, Search.yourrecipescenter.com, and Search.yourspeedtestcenter.com among others. All of them come from the same source that we refer to as SaferBrowser. This entity has been secretly making much money by counting on non-tech-savvy users to keep its hijackers on their web browsers. Our research has revealed that Search.searchtrmypa.com redirects the search queries to Yahoo.com which is a legitimate search engine, but is also a favorite of browser hijacker developers because it allows them to customize the search results and include additional promotional links. We are concerned that this hijacker can put your computer in danger because its promotional links might redirect you to websites that feature malicious software or fake online shopping websites. Whatever the case may be, we want to stress that Search.searchtrmypa.com is unsafe, and you should get rid of it. However, before we move on to its removal methods, we want to provide a bit more information regarding privacy. We conclude that Search.searchtrmypa.com is not a legitimate search engine, but a browser hijacker that is set to modify your browser’s search-related settings and subject you to questionable commercial advertisements via its search results. In addition, it is configured to collect information about you to tailor the advertising campaign and since it can get hold of personally identifiable information and use it to generate more income. Please consult the removal instructions below on how to get rid of it. Locate the Start Page, right-click it and click Modify. In the Value data line, enter a new URL. Right-click on the following registry strings and replace their Value data with another URL. Find and open prefs.js with Notepad. Fix the user_pref("browser.startup.homepage", "http://search.searchtrmypa.com"); string by replacing the http://search.searchtrmypa.com with your preferred URL. Find Preferences, Secure Preferences and Web Data. Delete them or open them with Notepad and replace all strings with http://search.searchtrmypa.com to your preferred URL. Quick & tested solution for Search.searchtrmypa.com removal.